Developers are constantly faced with challenges of building complex products every single day. And there are constraints on the time needed to build out the features of these products. Engineering and Product managers want to beat deadlines for projects daily. CEOs want to roll out new products as fast as possible. Entrepreneurs need their MVPs like yesterday. With this in mind, what should developers do? 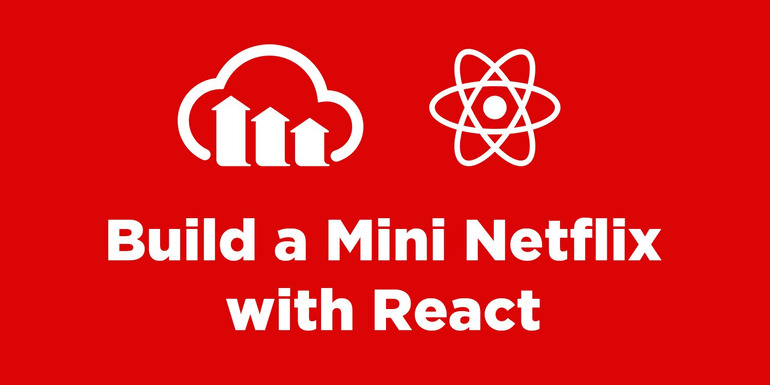 In this tutorial, we’ll quickly build out a Mini Netflix in 10 minutes. In fact, I think we might build it less time. An excited entrepreneur just approached you to build a video service. A service where users can quickly upload short videos and share on twitter for their friends to view. Let’s list out the features of this app. Users should be able to sign up and log in. Registered/Logged-in users should be able to upload short videos of about 20 - 30 seconds. Registered/Non-registered users should be able to view all uploaded videos on the platform on a dashboard. 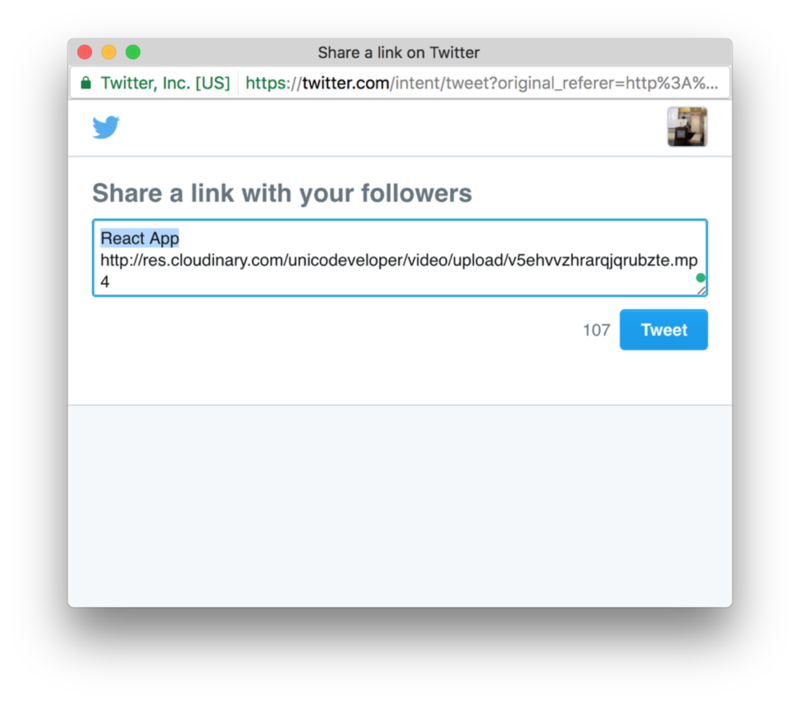 Users should be able to share any of the videos on twitter. Now, here’s the catch! 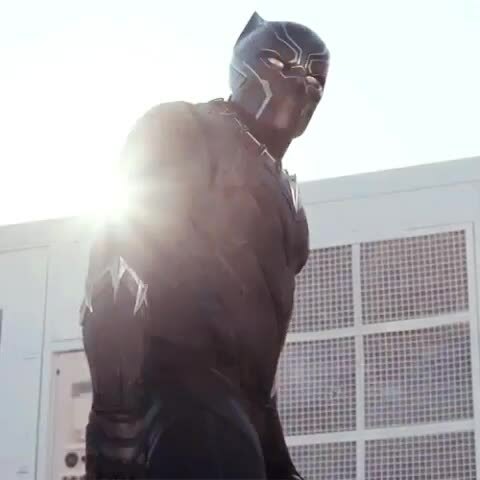 T’challa of Wakanda wants to invest in some startups today, so the entrepreneur needs to demo the MVP of the video service in 10 minutes from now. I know you are screaming your heart right now. It’s totally okay to cry and let the world know about your problems and challenges, but after much ado shedding tears, will the app be ready in 8 minutes? Well, sorry - tears can’t build an app! It’s possible to build the MVP our entrepreneur is asking for. Let me show you how! Ready your editor, your command line and anxious fingers. Let’s get to work!!! Go ahead and open up public/index.html. Pull in bootstrap and add it just after the link to the favicon. axios - For making network requests. Open up your src directory and create a components and utils folder. In the utils folder, create a file, AuthService.js and add the code here to it. I explained how to handle the authentication in this tutorial, so check it out to ensure you are on the right track. The Callback component basically stores our authentication credentials and redirects back to the upload route in our app. The Display component will be dashboard for viewing all videos. The Nav component will be the navigation that all pages in the app will share. The Upload component will handle uploading of videos by registered users. In the Nav component, you must have observed that we imported a css file. Open the App.css file and add this code here to it. Lastly, open up index.js and add replace it with the code here to set up your routes. We need a storage space for the videos our users will upload. 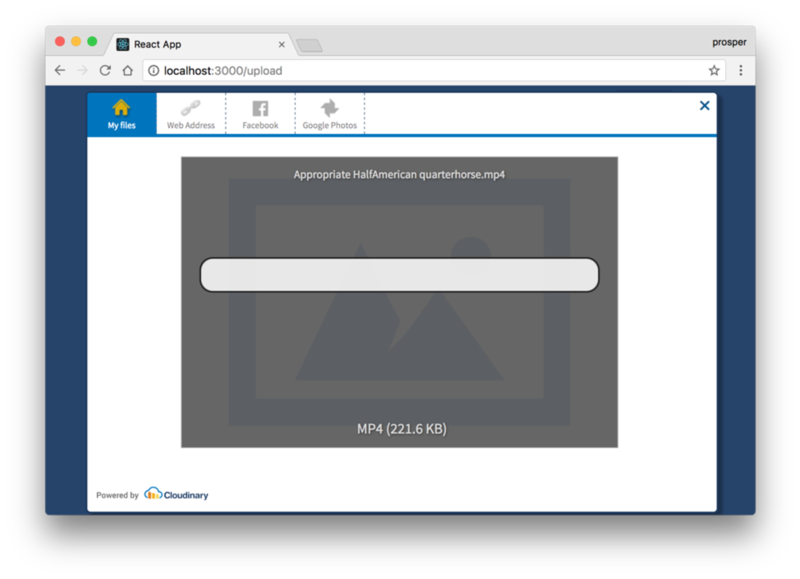 Cloudinary is a cloud-based service that provides an end-to-end image and video management solution including uploads, storage, administration, manipulation and delivery. Head over to Cloudinary.com and create an account for free. Let’s make use of Cloudinary’s Upload Widget. This widget allows you to upload videos or any type of file from your local computer, facebook, dropbox and Google Photos. Wow, very powerful. And the integration is seamless. Note: You can add it just after the links. In the code above, we added a third argument, tags. Cloudinary provides this for automatic video tagging. Every video that is uploaded to this app will be automatically tagged, miniflix. In addition, you can provide as many tags as you want. This feature is very useful when you want to search for videos too! 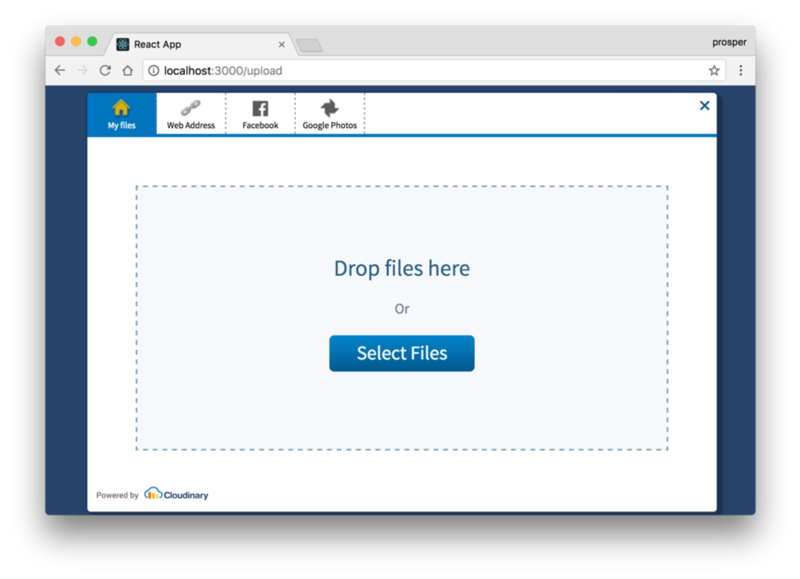 In the uploadWidget function, we called the cloudinary.openUploadWidget function and attached it to the “Upload Video” button. When the user clicks the button, it opens the widget. Replace the cloudname & uploadpreset values with your credentials from Cloudinary dashboard. Sign in to your app, head over to the upload videos route and try uploading a video. It uploads the video straight to Cloudinary and returns a response object about the recently uploaded video that contains so many parameters such as the unique **publicid, secureurl, url, originalfilename, thumbnailurl, createdat**_, duration and so many others. So we if had a tag like vimeo, our url will end up with .../vimeo.json. So in the code below, we got all the videos and stored in the videos state. The Cloudinary React SDK has 4 major components, Image, Video, Transformation and CloudinaryContext. We are interested in the Video and CloudinaryContext for now. Christian explained how these components work here. 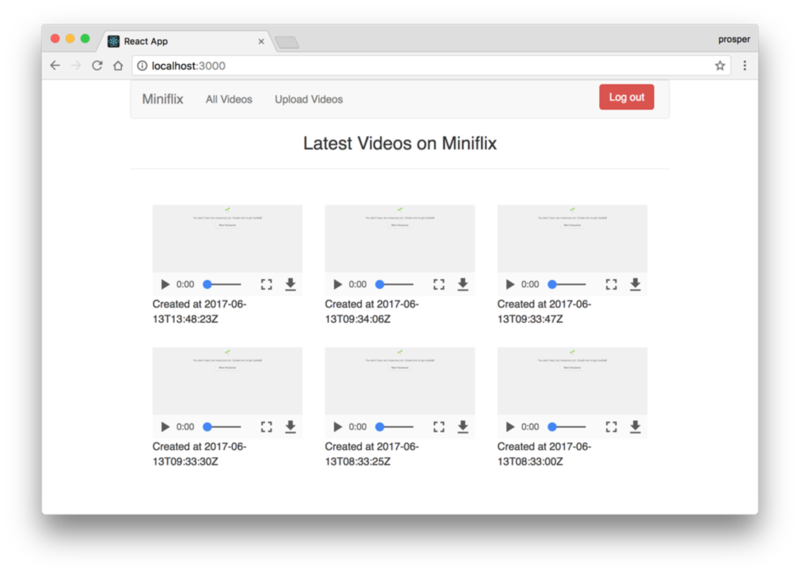 In the render method, we simply just looped through the videos state and passed the publicid of each video into the Cloudinary Video component. The Video component does the job of resolving the publicid from Cloudinary, getting the video url, and displaying it using HTML5 video on the webpage. An added advantage is this: Cloudinary automatically determines the best video type for your browser. Furthermore, it allows the user have the best experience possible by choosing the best from the range of available video types and resolutions. You can also manipulate your videos on the fly, with the help of Cloudinary via the Transformation component. Now, add this piece of code just after the div that shows the time the video was created. Simple! It’s really not that hard. The source code for this tutorial is on GitHub. Video briefs - short video, based on few gif images that will extract from the uploaded video. Cloudinary provides many options for uploading, transforming and optimizing your videos. Feel free to dive in and explore them. Prosper Otemuyiwa is a Food Ninja, Open Source Advocate & Self-acclaimed Developer Evangelist.